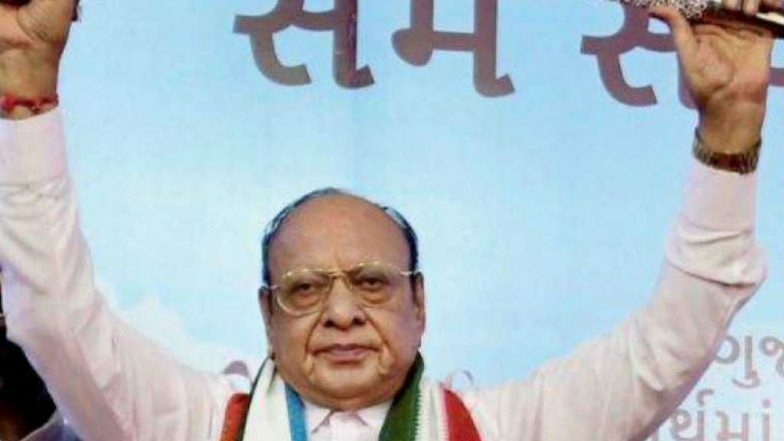 Gandhinagar, March 18: Shankersinh Vaghela, former chief minister of Gujarat who recently joined the Sharad Pawar led NCP, complained of theft at his house in Gandhinagar. According to the complaint, the prime suspect in the case is the security guard. 7 Robbery Attempts Gone Wrong That Give Thieves Everywhere a Bad Name (Watch Videos). A report in The Times of India said that an FIR was lodged with Pethapur police, Gandhinagar. The complaint, according to police, mentions name of Basudev Nepali alias Shambhu Gurkha and the wife of the guard, Sharda. The report said that cash and jewellery was stolen from the house. Cash worth Rs 3 lakh and ornaments costing Rs 2 lakh were stolen from the house. The FIR was filed by a person working for Vaghela on Sunday evening. The suspect, Basudev Nepali, was employed by Vaghela four years ago and had left for his place along with his wife in October 2018. The cash and ornaments were stolen from the cupboards to which only Nepali and his wife had access. They allegedly took away the money and ornaments and then left in October of last year and haven't returned since. The theft came to light after there was a marriage function at Vaghela's house and the gold and cash were found missing.